To see my last travel post on my campervan trip, click here - or to read about the trip, click here. Ahh, Brissie! 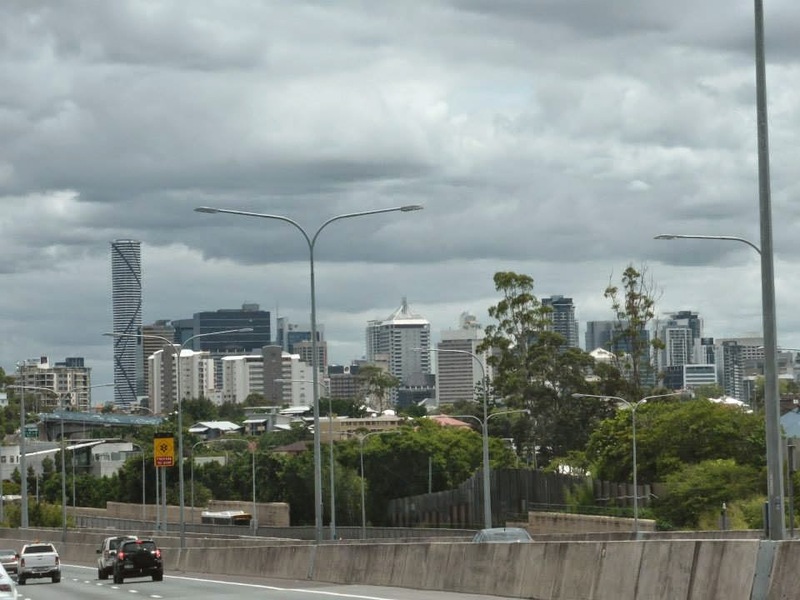 I hadn't heard great things about Brisbane - supposedly not a great deal to do and one of the lesser favoured Aussie cities. It only took around an hour for us to drive from Surfers to Brissie which was definitely welcomed after very little sleep! We'd been having a few problems with the campervan so had to nip to the Brisbane Travelwheels office to get these issues fixed (another reason for my dislike against this company - which I will talk about at a later date). We decided to enquire about potential trips to Fraser Island, The Whitsundays and Magnetic Island; and I am so grateful that we did. We spoke to a lovely lady called Katie on the reception desk who had travelled and done so much of Australia that not only was she incredibly interesting to talk to but she was also INCREDIBLY helpful. We told her what we wanted and what kind of budget we had and she worked her magic - an hour later she had print outs, prices and we were all systems go to booking. We managed to get the three trips at a steal of a price and lovely Katie even threw in two big jugs of cider; as if we weren't giddily excited enough! We ate, got all dolled up and got the 11pm 'party bus' into the city. We went to DownUnder bar to meet some friends and had a cheap, fun nights - naturally involving a dance off. 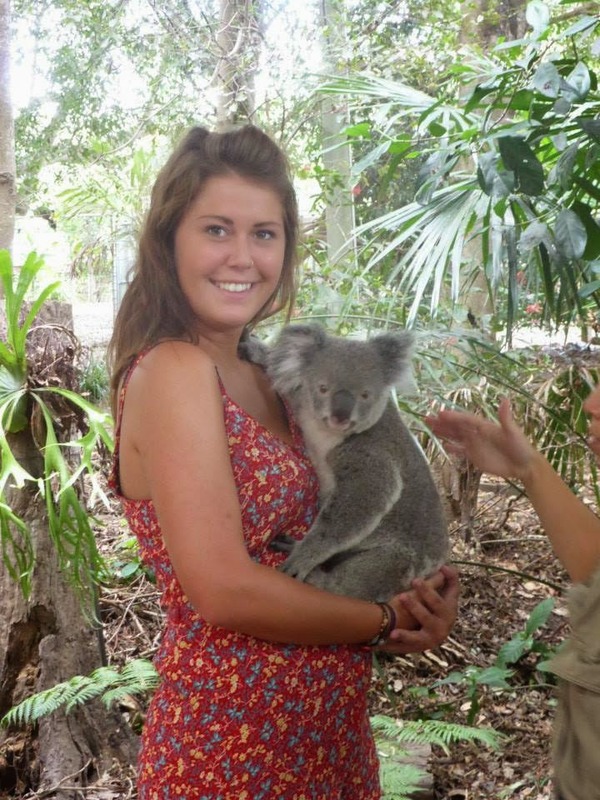 The next day we did what I had wanted to do since I was little - hold a koala. 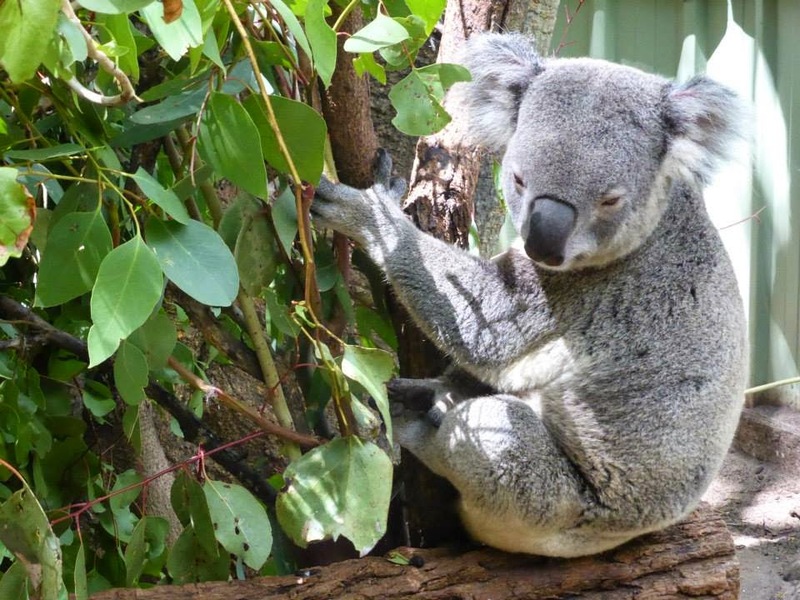 We were up and off to Lone Pine Koala Sanctuary; a must visit (and personally, I think a better option that your standard zoo, even if it is Steve Irwin Zoo). The place felt more authentic and the animals seemed happy and looked after (yep, they told me!) and it also cost half the price of a normal zoo. I feel like I would rather give my money to a sanctuary than a big organisation. I'm such an emotional person and I must say that going to Lone Pine was probably one of my favourite experiences since beginning my travels. 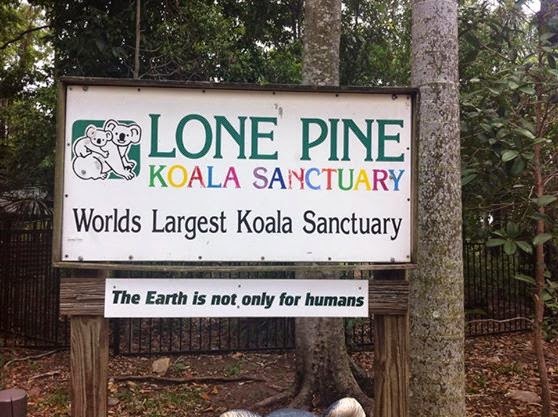 Lone Pine is home to all of your standard Aussie animals - koalas, platypus, wallabies, kangaroos etc. Its a lovely place, with lovely staff and is lots of fun. Not only did I hold a koala, which was amazing ($16 to hold with a professional picture and then friends could take more for you - I haven't got an electronic copy of my professional one, so don't think the above is what you get for the $16 fee!) but you can also buy food to feed the kangaroos- SO cute. We had a lovely day, saw some cute animals and set off in sight of the beaches of the Gold Coast.